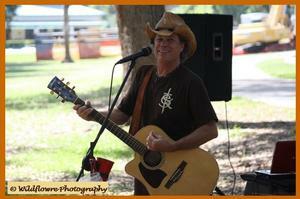 ACOUSTIC GUITAR ORIENTED POP, ROCK, BEACH & EVEN SOME COUNTRY FROM 50's THRU TODAY FEATURING STRONG YET SMOOTH VOCALS. Mark is a seasoned performer and multi-instrumentalist with over 30 years of professional experience. He started his career performing bass guitar, keyboards and lead vocals in many bands throughout the Tampa Bay area. For the past 20 years he has focused more on his acoustic guitar and vocal abilities and has become a solid solo act performing at the top venues along the Suncoast beaches. These cover shows focus on audience interaction by encouraging requests for all the biggest hits over the last several decades.